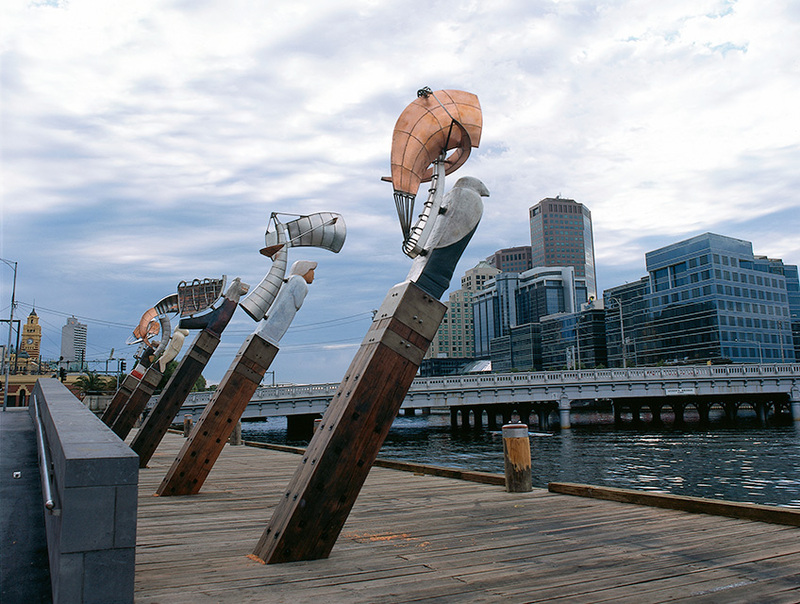 This public commission, on the bank of the Yarra River, captures the natural suggestions of clouds, the billowing of sails, rigging, the movement of wind vanes and the associations of ships' figureheads. 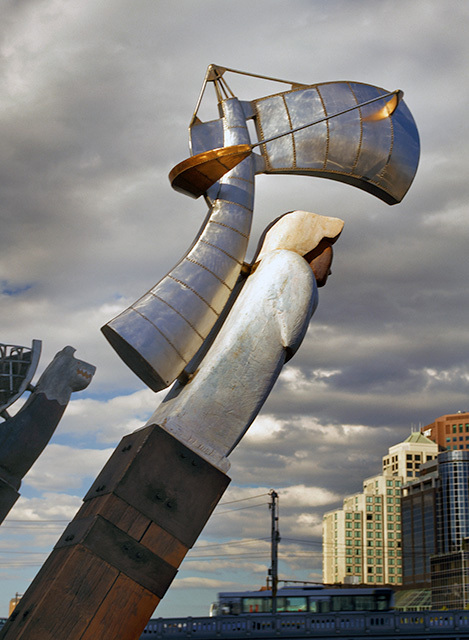 In this large work, his first ever sculptural collaboration, Bartlett's jutting copper and stainless steel forms seem ever ready to pivot and point in their maritime location. 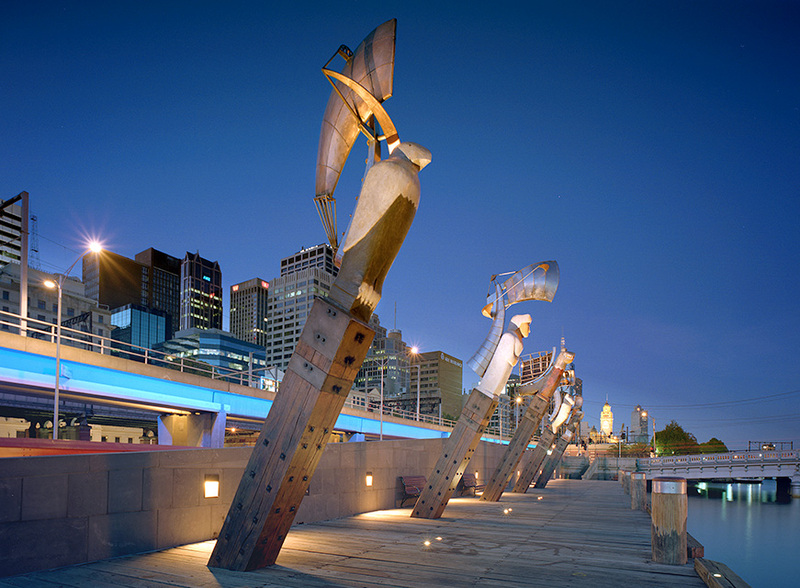 The group of five angled sculptures splay outward from a central column which displays the prow of a boat, the only symmetrical piece in the group. Both the outermost elements curve inward as though to bookend the thematically related arrangement, thus concentrating visual attention inwards upon the central boat form, itself a hint of the marine connections stipulated in the commission brief. All of this, once again, is done in ways which successfully lInk the mechanical with the natural and marry the sea with the land.